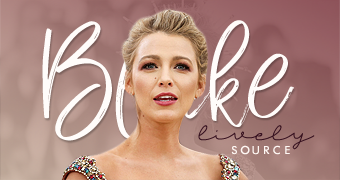 We have added some photos of Blake on red carpet at the Realm Boutique Opening in New York City last week. 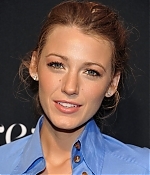 The ‘Gossip Girl’ actress wore a blue oversized man’s shirt with a black sparkling high-waisted skirt. She accessorized with a tan belt and black Chanel ankle boots. It looks like Blake did take this look straight from the runway of Vivienne Westwood’s Fall 2010 Red Label collection.